I've been a fan of Alison Sweeney since her bad girl days on "Day of Our Lives" when her character Sami Brady was planning and plotting to keep Austin and Carrie (Sami's half-sister) apart. That was in the mid '90's, and although I was a teenager at the time and the show aired during school hours, my foster mother would tape them and we'd watch it in the evenings. It was that good! Sami was a badass and I loved her. These days, Alison is still pretty badass, but in quite a different way. Now she's enjoying motherhood, hosting NBC's "The Biggest Loser," gracing the cover of Shape magazine, and penning a book on fitness and weight loss for moms. Oh yeah, and she's still playing Sami Brady on "Days of Our Lives." Pretty badass, huh? Mommy Delicious: Ali, I saw you on the latest cover of Shape magazine, and, my goodness, you look fabulous! Like, hawt! 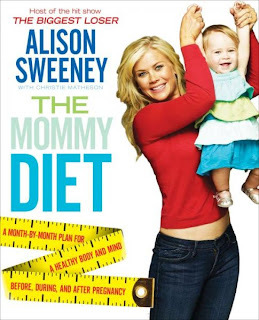 Alison Sweeney: Oh, wow! Thank you. Thanks so much! Mommy Delicious: How did you lose all that baby weight? Like, how did you find the time as a busy, working mom? 1 -- Decide it's a priority. I would want my kids to make that same choice when it comes to they're health and nutrition. We have to get our kids to understand how important it is. That way, you won't feel guilty [when you away from your kids exercising]. 2 -- Put it in your calendar. (What a great suggestion... see why I love Alison?!) Bring your gym clothes to work with you. The same way you'd bring your heels to work with you if you have a dinner date afterwards, bring your gym clothes. That way, you won't have any excuses. MD: Ali, do you have any tips on how to tone up after losing the baby weight, or weight in general? AS: New mommies, treat your body like it's an injury. Your body has been through a traumatic event. You have to work yourself back up and work from the inside out. Even your posture is traumatized by carry a baby [for nine months]. But using your stomach muscles to hold up your back and stand up straight helps a lot. Also, toning comes from getting your cardio in so it's important to have a well-rounded workout. I always do cardio -- four-five times per week -- and strength training twice per week. MD: You know, I hear a lot from people who start exercising, but then they stop after a month or two and go back to their old ways. Do you have any beginner tips for people who are just starting to exercise? AS: Start from ground zero and build yourself up. Walking is a great way to start. And, after a while, pick up the speed a bit until you're running. "Can't" is not in the vocabulary. You have to commit to making the effort. It's a big time commitment, but you have to commit to just doing it. MD: Do you have a least favorite workout? AS: Well, I do like to run, but the 2nd or 3rd hour is hard because it gets boring. But... I kind of embraced the hard parts. You have to embrace why it's tough for your body and just do it. MD: The reason I asked is because I absolutely hate doing crunches. I mean, I do them... but it's not something that I enjoy. MD: It's just... well, boring. AS: I think you should shake it up a bit. Like, instead of doing a basic crunch, why don't you try something else instead. You can try something fun like squatting with your back against the wall, but be sure to keep your abs tight. Then, throw a ball against another wall, stand up, and then squat back down to catch the ball. It's something that'll get you in a rhythm. And it's fun. MD: Wow, thanks so much! Any quick tips on nutrition? AS: Set yourself up for success. 1 -- Pack your own lunch. That way, you never feel trapped in a situation where you're forced to eat fast food or something unhealthy from the vending machine. 2 -- Don't have a lot of artificial sugar because you don't want your system to crave that, but you want it to adjust to a natural palette. 3 -- When you have a craving for sweets, try fruits. They're much healthier and they have natural sugar. Pick up the latest issue of Shape magazine where Alison is sharing even more tips on how she lost her baby weight and worked her way out to be a healthier woman. 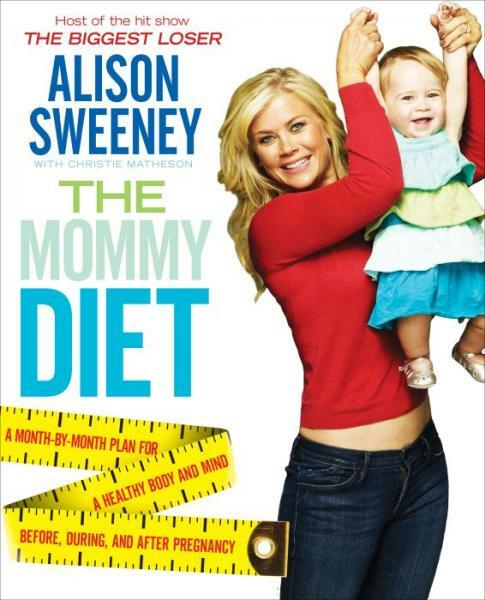 Also, check out her book, The Mommy Diet, which includes loads of information on all things nutrition and fitness. Thanks so much to Ali for all these great tips! Who's feeling inspired to work it out?! OMG!! She looks ahhhmazing! I too have been a fan since she was super BAAAD on "Days" and I also watch the biggest loser to get inspired. I love the idea of putting it on your calendar so you can visually see what's up for the day. I am so back and forth on weight loss these days! this post is definitely inspiring - and that SHAPE cover! OMG! Go Allison!!! She does look great. The biggest piece of advice is to make it a priority. If getting and staying in shape is important to you, you will make the time to make it happen. Great interview! Great interview! I like her perspective on treating the post baby body like an injury that you need to heal and make better again. So true! Love me some Alison! And yes, my favorite role of hers will always be as Sami, lol. Great interview, girly!!! Can't wait to get back to serious working out! I just read her article in Shape - I've got to get that book! Gotta start getting ready to get back in shape after baby comes in a couple of months! this post if FULL of great tips. I'll be needing all of these post baby! fab interview!